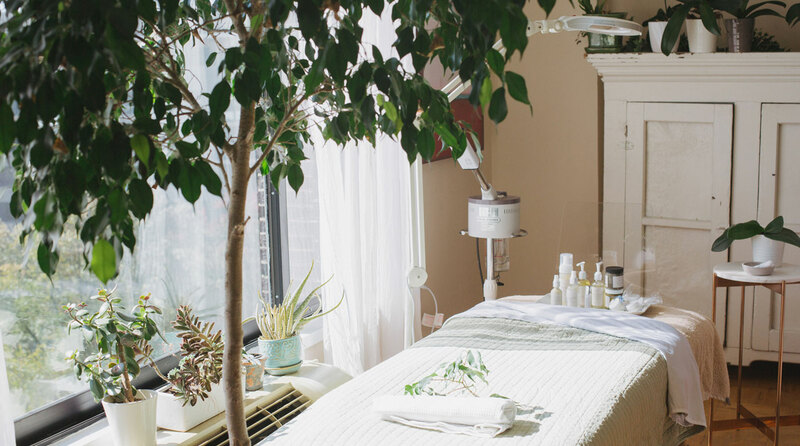 Located in NW DC, we specialize in luxury anti-aging organic facials and work with clients who have difficult skin issues and are looking to transition into green beauty. By popular demand, we now offer unique massage treatments. This ‘speakeasy spa’ is a private light-filled space that is booked by appointment only. We do have a house rabbit named Molly who gently bounces around. Enjoy a 15 min. skin care consultation with Sara while sipping on magical rose tea plus a 55 min. in depth treatment including a triple exfoliation, neck + shoulder release work and her famous Japanese scalp massage. Indulge in this quiet hour long massage by our experienced therapist using a chilled gua sha stone. A gua sha stone is popular in the East and helps release tension throughout the body including the neck, shoulders and feet. Anjelica also incorporates various massage techniques including dry brushing, an expert touch and organic coconut oil mixed with Miracle Cream + hot towels to soothe aches + pains. Enjoy 75 minutes of deep peace + relaxation at the private Garden Spa with this deliciously soothing massage by Anjelica using Sara’s latest creation, a new CBD muscle balm crafted with 400 mg of organic CBD from West Virginia into a thick cream that smells like warm gingerbread. It is a wonderful way to experience CBD for the first time and you will sleep like a baby!